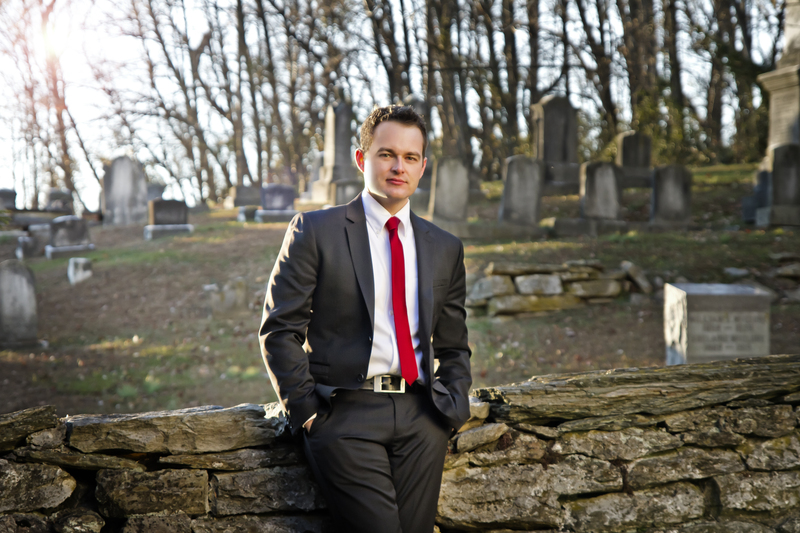 Caleb’s mini-bio: I’m a sixth generation licensed funeral director and embalmer in Pennsylvania, USA. I have a graduate degree in Theology and a certificate in Thanatology. Writing is my therapy. Laura: Do you see a shift or change in how folks are addressing death, funerals, and mourning? Caleb: Before I answer that question, I want to zoom way out on the North American death and dying timeline, all the way back to pre Civil War America in a phase I’ll call “traditional”, when families and communities lived with death, when the authority structure surrounding death was determined more so by religious beliefs and when the community took care of their own dead. Post Civil War produced a modernization of North America and subsequently moved dying away from home and family and into institutional care. From 1873 to 1923, hospitals in America grew in number from 178 to 6,830, a 3,800 percent increase (Schlereth 1991: 286). The cultural implications of this environmental shift from death in the home to death in the hospital were profound, and contributed to the literal displacement of the dead from the everyday social worlds of the living. Dying in the isolated space of the hospital room institutionalized the experience as a passage requiring scientific, and increasingly technological intervention, rather than prayers and the presence of the community. (Laderman 2003: 4). In this modern world, Tony Walter writes, “authority comes not from tradition but from expertise: we do not trust the sage or the priest … but the doctor” (Walter 1997: 54). In modern dying, the doctor replaced tradition as the authoritative center. With the doctor planted firmly as the authority on dying, the funeral directors in America found themselves carving out a niche as the authorities on death. Embalming was the “expertise” that distanced the funeral industry from tradition and placed it firmly in the realm of an authoritative profession. Funeral directors even called their specialized embalming knowledge a “science,” creating the implication that they, in some respect, were the authoritative “doctors” of this science. (Kelly and Johnson 1934: 3). Charles W. Berg in his 1920 The Confessions of an Undertaker, wrote succinctly “The practice of embalming had much to do with placing the undertaker in the professional class” (Berg 1920: 30). We’re transitioning out of this modern way of death and dying into a more neo-modern or postmodern fragmentation that has the self as the ultimate authority; home, hospice and nursing home are replacing the hospital and funerals are no longer dictated by the authoritative funeral director but by the personality of the deceased, with less focus on community events and corporate grief. Laura: Excellent answer, and I concur. Let me ask you then, which shifts do you see as likely to stay? Which may likely evolve? Caleb: I don’t think we’ll head backwards towards the modern paradigm. I think we’ll continue to move away from the more industrialized and professionalized institutions of the hospital and funeral industry and towards hospice, home care and personalized funerals. Embalming will continue to decrease in popularity and I think we’ll see cremation continue to rise with a small percentage choosing greener options. Laura: What are the biggest issues and challenges facing the funeral industry today? Caleb: The shift from the modern paradigm to the neo or postmodern paradigm is still happening. The funeral industry, like many modern industries, sit in a liminal state. In a decade or two or three, the shift will probably have totally taken place. The modern funeral industry will not be able to be sustained in a postmodern culture. They’re simply too large. Laura: Again, I agree. Many suggest that, as with all industries, the funeral industry must “evolve or die” – do you see a willingness within the industry to embrace different approaches to death, mourning, and funeral practices? If yes, are there particular areas more readily supported? Caleb: Some are and others aren’t. I think much of it depends on the funeral home’s specific demographic target. In more traditional areas, there’s little need right now for funeral directors to adapt and change. While those funeral homes that exist in more progressive areas, have fully modified their businesses to fit the fragmented culture of postmoderns. Laura: Yes, I’m seeing that too. How do you feel the funeral industry can best support shifting cultural mores? Caleb: The easiest way for the funeral industry to support the shifting culture is to acknowledge that authority has shifted from the funeral director to the personality and wishes of the deceased. While funerals were once produced in cookie cutter form, today’s funerals are as fragmented and distinct as each individual. Laura: How do you think death and mourning doulas can foster relationships with Funeral Directors, to provide the best support possible for families experiencing loss? Caleb: My guess is that most funeral directors don’t have a working definition of “death and mourning doula”. Educating funeral directors about the purpose and work of death and mourning doulas would be the first step in fostering relationships with funeral directors. Funeral directors can be a chippy bunch who sometimes hold their professionalism as a badge of distinction. Educating them is no easy task, especially when they see themselves as the authorities on all things funeral. But, at heart mourning and death doulas share a very common goal: serving and helping families in need. Most funeral directors are in this profession to help and serve and they appreciate anyone who does likewise. Laura: This is very true; we train the graduates of our Death & Mourning Doula Training program here at MourningDoula.com to meet their local funeral directors, and to share what they do, and explore ways in which they can work together. In some instances – especially in more progressive cities – that has been working very well. In other areas, they meet resistance. You’ve got me thinking that perhaps we should create a booklet or video for funeral directors, explaining the work our graduates are doing. But on to the next question – do you see an openness to greener funeral practices within the industry? Caleb: Green funerals undercut the financial bottom line for the funeral home. Those funeral homes that have focused on maximizing the bottom line will certainly push back against green funeral practices. But the funeral homes that are service centered will grow to value anything the families they serve value. Laura: That reflects what I’m seeing, too. What do you think has been the single biggest shift within the death industry in recent years? Caleb: At the turn of the twenty-first century, 25% of Americans were cremated at the time of death (Prothero 2002: 217). The NFDA predicts that the cremation rate will be 48.20% in 2015, 55.80% in 2020 and 70.6% in 2030 (NFDA: 2015). These statistics and projections show definitively that there is no longer the “American way of death”, but that the ways of death are now plural, reflecting the desires of the individuals and not the “science” of the profession. Laura: I knew the numbers have been growing, but I hadn’t seen that prediction of 70.6% yet – wow! That’s an eye-opener. I suspect that with an increasing worldwide population, and fluctuating economic times, that makes sense. Ah, but on to our final question of the day – What would you most like to see shift in how we deal with death and mourning within our culture? Caleb: Like a child on a swing, sometimes you have to go backwards to go forward. There’s a lot of value in the community care for the dying and dead in the traditional paradigm. Without rejecting the wonders of modern medicine and the value of the self in postmodern culture, it’s helpful to look even as far back as the Jewish Chevra Kevod Hamet and find ways for community involvement and community care. This entry was posted in blog and tagged caleb wilde, confessions of a funeral director, death, death doula, death doula training, funeral, funeral industry interview, interview, mourning doula. Bookmark the permalink.